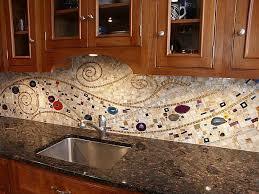 New alternatives to subway tile for backsplashes. 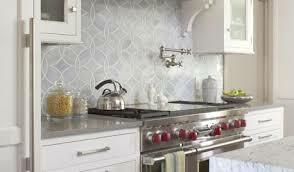 If you are tired of seeing plain white subway tile back splashes, you are not alone. Larger-format tiles in herringbone, chevron or stacked patterns — anything other than the traditional offset brick pattern — gives the same crisp look but with a bit more nuance and interest, without taking a huge design risk. With the larger size, the grout lines are minimized, and a clean, fresh take on the old is just what people are looking for. Sharp, linear geometric patterns are being replaced by softer, curvier, abstract organic patterns and nature motifs.